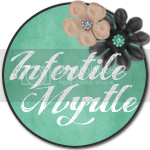 The Infertility Overachievers: I Quit You Infertility (at least for tonight)! I am so sick of writing about infertility. Sadly though, it really seems to have taken over my every thought. I don't want to think about it anymore tonight. I want to be naive. I don't want to know when my fertile period is, and I sure don't want to know what the acronym BFN means. If I could erase all of that from my memory, I would be having a much better night, week, month, and probably YEAR. B) Not sure if I mentioned this but we are renting out our house instead of selling it. I have people coming by tomorrow to look at it and let me just tell you, it is a DISASTER! We decided to have the back yard completely landscaped. They went back there and riped up all the grass and will be laying sod down in the next day or so. Hopefully the people looking will be understanding of the MESS that is back there right now. Pulling up all the grass and adding a drainage system doesn't exactly make for an attractive yard. The finished product will be amazing, or at least it better be for the amount of money we are paying. 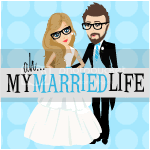 C) My husband and I are going to get a divorce over decorating the NEW house. I told him today that I won't be able to see the TV if we position it on the far wall (I wear glasses). He then told me "that is the most ridiculous excuse I have ever heard!" Really honey, poor sight is the most ridiculous excuse you have ever heard? I am scared to hear what you would have said if I have led with what I really wanted to say... "umm, that's UGLY!" Going for a ride in his wagon with his Dad. "Quick Mom take a picture, I look cute right now"
OK that is all for now. Infertility, you can go back to running my life tomorrow, but I am sure you already knew that. See you then! He is so cute, I can't stand it! I love his red curls!! I am sorry that you have to think about IF so much...at least you have decorating to distract you! I LOVE the rain pictures! What a big adorable boy. Scarlett is sitting here with me cracking up at the pictures too so I guess they are pretty good!!! Let me know if you need any help with anything! OMG he's so cute!! The Willy Wonka comment cracked me up! Thank you so much for signing up for the Blog Against Bullying! oh my gosh the second to last photo is ADORABLE! He is just too cute for words!